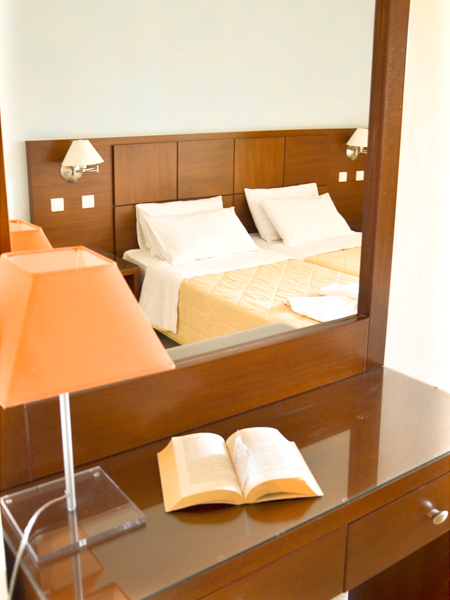 All our rooms are recently renovated in total, refurnished in with all their facilities upgraded for a trouble free stay when visiting the beautiful island of Karpathos. Alex Hotel has 25 spacious rooms in 2 different floors. 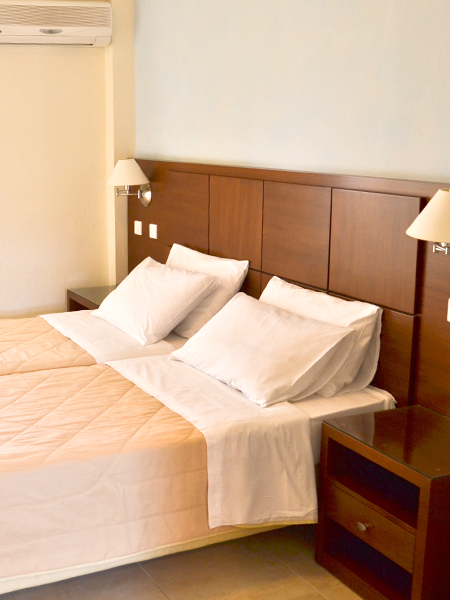 Our guests will surely enjoy the comfort of a classic Hotel. Thanks to the fine decoration, the qualitative textiles, the harmonic colours, the cotton clothing, the modern furniture, the pillows and beds , your accommodation shall become dreamy. From the very first moment you will feel the relaxing effect of our rooms; an excellent combination of comfort and calmness. The modern design of their interior is inspired by carefully designed aesthetics, while their luxury items breathe elegance and fascination. 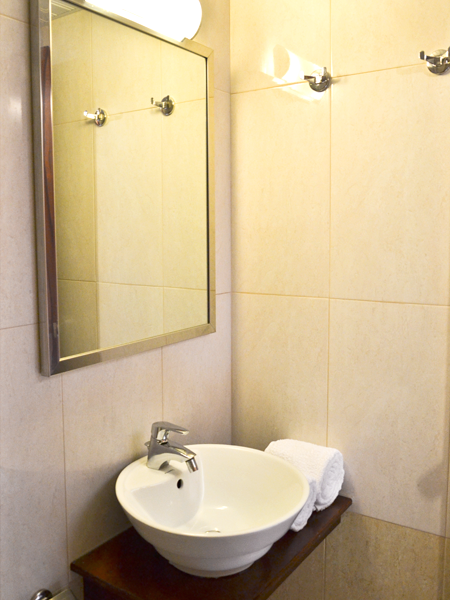 Enjoy the comfort of the single and double beds and prepare yourself for a busy day in our elegant bathrooms. Gaze the mountains, our gardens and the sea from your balcony, away from indiscreet looks and enjoy the magic of the horizon. 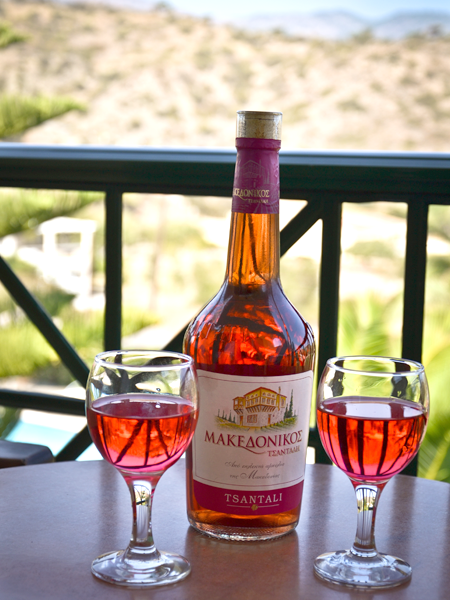 It doesn't matter if you visiting Karpathos with your family, your friends or even by yourself. At Alex Hotel you will escape to your own private island hideaway. A destination for memorable and relaxing holidays in Karpathos island. 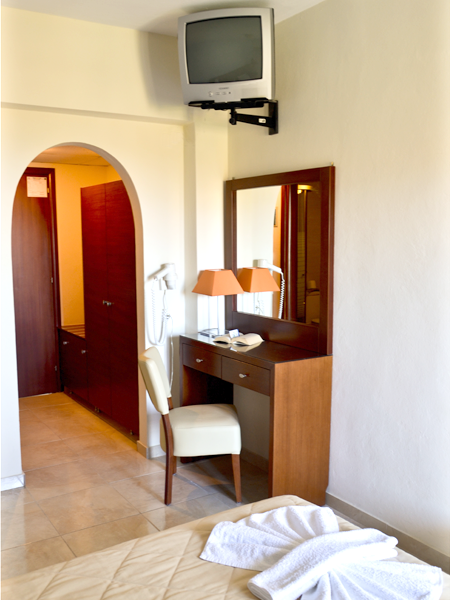 Comforts of as you are at home and rooms complete with all modern amenities. Retreat to the exceptional island of Karpathos and leave routine and the world behind. Book now at Alex online for our Best Internet Rate Guaranteed. Alex hotel organizes once a week, during the evenings, a BBQ day for all guests and visitors. For more information please ask at the reception. Eat as much as you like offer with your drinks only to be paid! For more special events at Alex Hotel please check this page frequently.